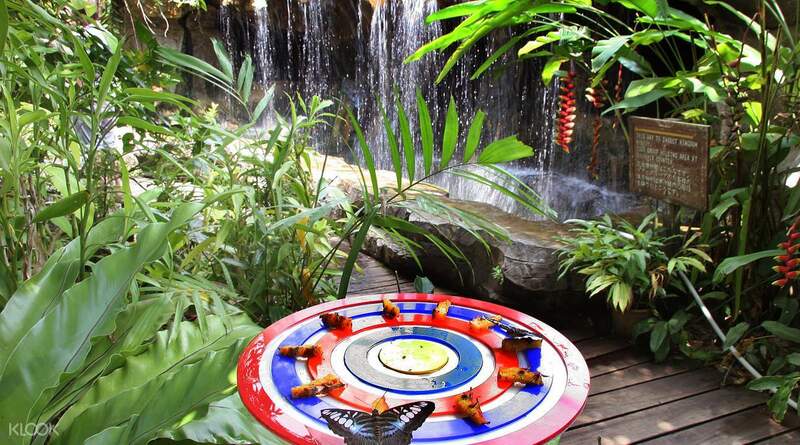 best for kids and family, many species of butterflies and insects. must visit. Explore unique exotic nature without leaving the city of Singapore. 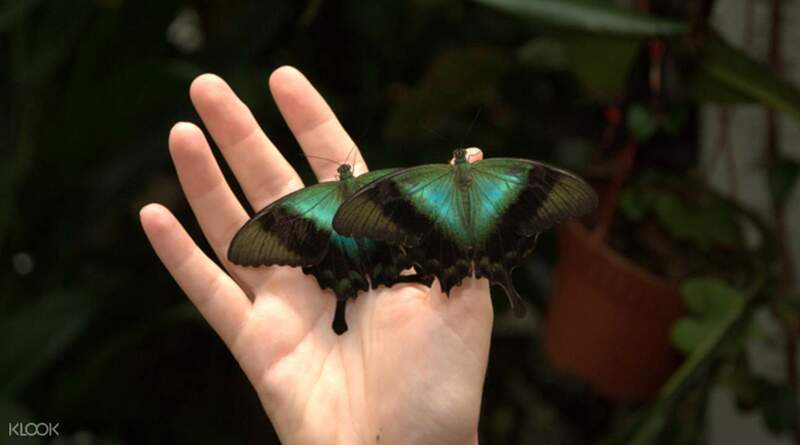 Discover the amazing diversity of local flora and fauna at the Butterfly Park & Insect Kingdom. 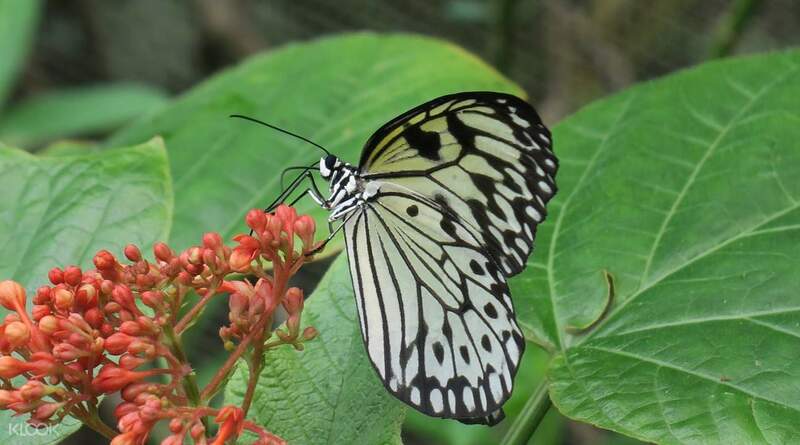 The park is home to over 50 different species of butterflies and lots of exotic insects. Search for rare creatures like stinging scorpions, huge beetles and so much more. Combine the trip with a visit to a few other attractions on Sentosa Island and you’ve got yourself the perfect day out for the whole family! Via Sentosa Express - Board Sentosa Express from Vivo City Lobby L, Level 3 and alight at Imbiah Station. Really worth it. Have never seen more beautiful butterflies up close than here. You even get to hold them and click pictures and also the big iguana was an amazing sight. As usual Klook was the cheapest. Really worth it. Have never seen more beautiful butterflies up close than here. You even get to hold them and click pictures and also the big iguana was an amazing sight. As usual Klook was the cheapest. This was so amazing! You got to see the butterflies up close and they weren't caged or anything.They were free to fly around the atrium. There was an iguana which you could touch and macaw as well. The butterfly collection was absolutely impressive and they were from all over the world. There were also staff explaining some of the exhibits to you which was helpful. If you love nature definitely go but I reckon half an hour is not enough to fully immerse yourself in the experience. I was so fascinated and read every single fact as I walked past all the rooms. This was so amazing! You got to see the butterflies up close and they weren't caged or anything.They were free to fly around the atrium. There was an iguana which you could touch and macaw as well. The butterfly collection was absolutely impressive and they were from all over the world. There were also staff explaining some of the exhibits to you which was helpful. If you love nature definitely go but I reckon half an hour is not enough to fully immerse yourself in the experience. I was so fascinated and read every single fact as I walked past all the rooms. There are 3 stages: butterfly, with different butiful butterflies; bird stage - some biggest pigions and parrots, also iguana; insects museum. There are 3 stages: butterfly, with different butiful butterflies; bird stage - some biggest pigions and parrots, also iguana; insects museum. Easy and fast redemption at the park entrance. Interesting to see the different life stages of butterflies, fun place for kids. Easy and fast redemption at the park entrance. Interesting to see the different life stages of butterflies, fun place for kids. Good experience.Really worth going. Staff was really friendly and ready to answer all the curiosity kids had. Good experience.Really worth going. Staff was really friendly and ready to answer all the curiosity kids had. it was unforgettable. amazingly beautiful and unusual. I advise all friends to visit this place. it was unforgettable. amazingly beautiful and unusual. I advise all friends to visit this place. Nice experience, seen many butterflies here . very beautiful butterflies. Good for younger children. Best to come when not raining as butterflies hide away when rain. Nice experience, seen many butterflies here . very beautiful butterflies. Good for younger children. Best to come when not raining as butterflies hide away when rain. Hands Down the most value for money activity we did at Sentosa. Mini Galery of insects. Bird and animal section. Even 1 beautiful reptile I do not know the name of. There is NO shortage of butterflies here unlike some other parks you might go to. They even have parrots to feed(extra cost for feeding) and other birds to admire. There are both beautiful things to see and the very friendly staff would welcome, show and teach you about the animals. I can sense that they do have a strong sense of pride in their work and they love animals. Very Educational and Beautiful. Hands Down the most value for money activity we did at Sentosa. Mini Galery of insects. Bird and animal section. 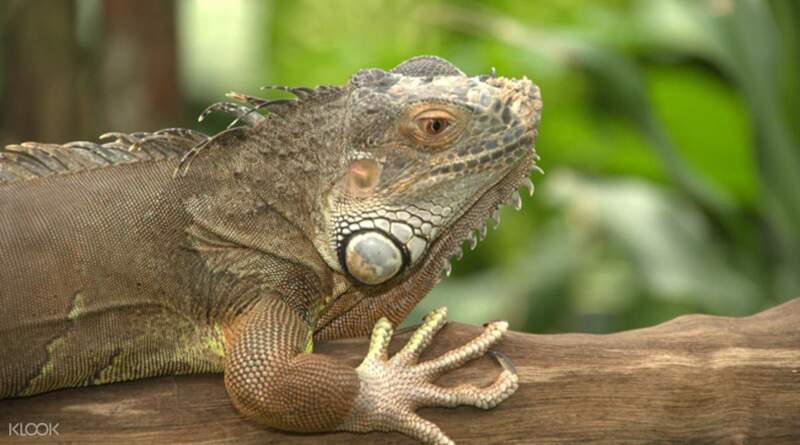 Even 1 beautiful reptile I do not know the name of. There is NO shortage of butterflies here unlike some other parks you might go to. They even have parrots to feed(extra cost for feeding) and other birds to admire. There are both beautiful things to see and the very friendly staff would welcome, show and teach you about the animals. I can sense that they do have a strong sense of pride in their work and they love animals. Very Educational and Beautiful.